WE NEED TO MOVE BEYOND DESIGNING FOR SINGLE CUSTOMER EXPERIENCE AND DESIGN FOR A PRODUCT’S CONTINUED LIFE AND VALUE FOR MANY CUSTOMERS. 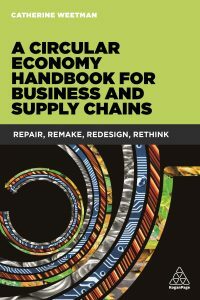 Catherine is interviewed by Richard Freeman of Always Possible: covering the circular economy, problems with plastics, avoiding ‘greenwash’, education & STEAMD, and more. Richard and Catherine spoke on the phone towards the end of March 2018 after being introduced by a mutual contact. They talk about local, national and global sustainability; design; individual skills for fixing and making; disruptive technologies and whether the current consciousness on the lifecycle of plastics and textiles is the tipping point we need or just a flash in the pan.